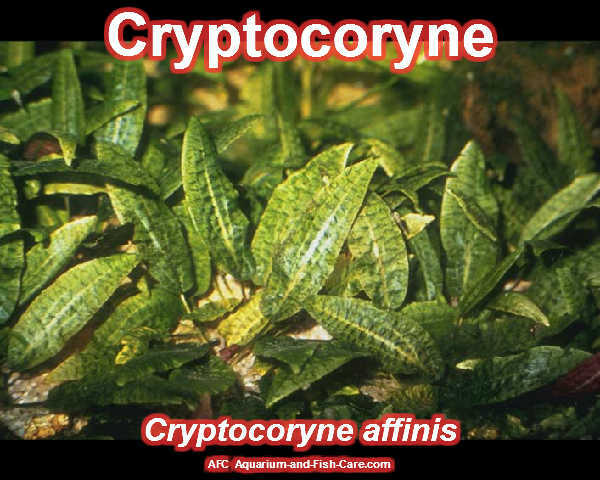 Cryptocoryne Wendtii is one of many species of aquatic plant which belongs to the Cryptocoryne family. The Wendtii species if favoured by many aquarists because it is relatively easy to keep and can grow in a range of conditions. Cryptocoryne Wendtii is an ideal plant for someone who is new to growing aquarium plants and does not wish to try their hand at anything harder. It originated in Sri Lanka but has now spread to parts of America, notably Florida and is generally popular in planted tanks. They are hardy plants and do well under a range of lighting conditions. Under high light it has been reported that Cryptocoryne Wendtii will become more compact, spreading horizontally over the substrate. The other noticeable affect from a higher level of light, is an increase in growth speed as well as a change in colour. In these conditions, some red varieties may turn also purple. It is very easy to keep Cryptocoryne Wendtii because it is not a very demanding aquatic plant. A noticeable characteristic is that under stress, such as large changes in water conditions, most if not all of the leaves will fall off. This condition is commonly referred to as "Crypt Melt". If this does occur in the aquarium, do not panic, in a couple of weeks most of the foliage should have regrown. It is rare that Cryptocoryne plants will die from the affects of Crypt Melt, although it is not impossible. It is important to try and maintain balanced water chemistry in so far as possible. If you are a beginner to keeping aquatic plants, or you would just like to introduce a low demand and easily kept plant to your current aquarium, Cryptocoryne Wendtii is a good choice. There is not too much risk of it over-running the aquarium, though as with all easily grown aquarium plants, some thought should be given to this possibility. As with all aquatic plants that you could grow, they offer a range of benefits to your fish. Biological filtration, aeration, protection, additional food and algae control are all reasons to grow. There are some good alternatives to Cryptocoryne Wendtii, such as Java Moss, Java Fern and Anubias Barteri. For a beginner all four could compete for space in your aquarium and they would all equally be worth the space. With live aquarium plants you can overcome all the problems of a non-planted aquarium. You can improve the quality of your aeration, filtration, food and algae control. You can improve the lives of your fish.